Originally published Sep 30, 2014; updated Jan 14, 2019. You’ve paid for a local mailer or sponsored post to advertise your latest promotion, and the leads start flooding in overnight. You now have an influx of potential business emailing your team asking for quotes. Of all the problems small businesses face, this is one of the best ones to have. But with it comes another important question — how are you keeping track of all these new leads? 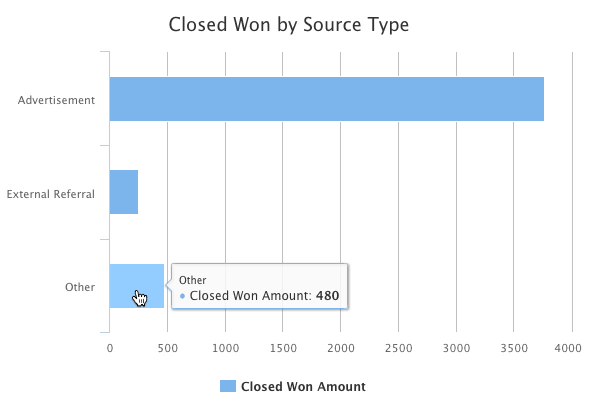 If you track sales leads in Excel spreadsheets, you’re not alone. But there are definitely good reasons to consider using lead management software, which will give you back time and keep your potential revenue organized. After all — what’s the point of spending marketing dollars if you let the resulting leads fall through the cracks? What’s more, a lead management solution that integrates with QuickBooks, like Method:CRM, can quickly become the sharpest tool in your sales team’s toolkit. After all, you don’t want to clutter up your accounting software with potential business. But when those leads become paying customers, being able to send them to QuickBooks with the click of a button allows you to hit the ground running. Here are 3 reasons why getting your leads out of Excel spreadsheets and into proper lead management software will benefit your bottom line. You didn’t set out to be an entrepreneur only to spend your days (and nights) performing repetitive administrative tasks. However, that’s often the harsh reality if you’re managing your leads in Excel. 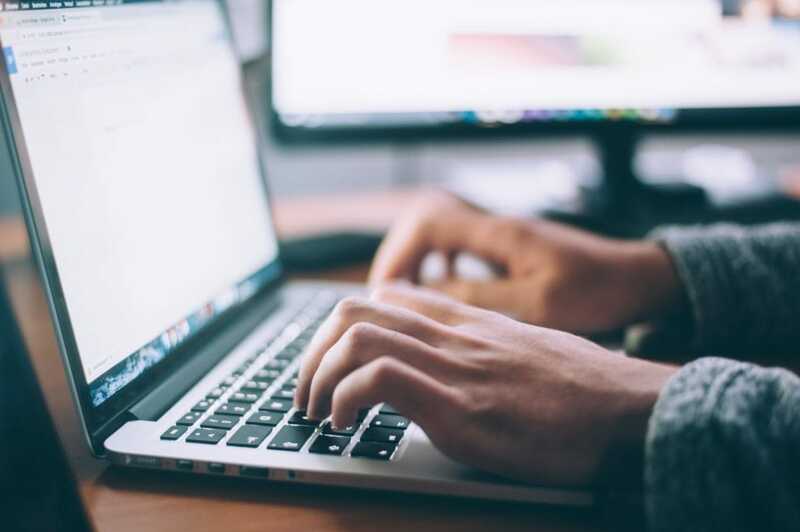 More importantly, the time you and your team spend on double data entry ends up costing you money, because it costs every one of you valuable time. When your team uses a lead management solution like Method:CRM, all of your lead information is captured and organized in one place. No more frantically passing data back and forth through emails and spreadsheets. 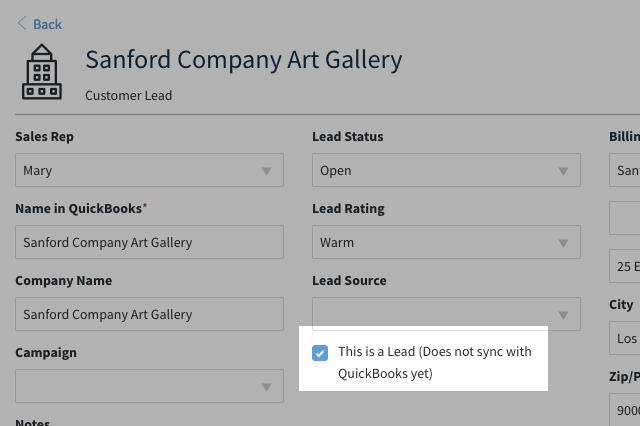 Instead, you can input a sales lead into Method (or better yet, capture them automatically through your web to lead form), and easily track their progress, schedule follow-ups and send out estimates. Once you close the deal, Method converts the lead to a customer and turns their estimate into an invoice, all of which is immediately reflected in QuickBooks. You’re doing a happy dance because your recent marketing campaign is bringing in potential business. Meanwhile, your sales team is looking at a disorganized Excel spreadsheet of leads, wondering who on earth they should reach out to first. One of the most common uses for lead management software is to help sales teams effectively manage and nurture their most qualified leads. And as a small team or solopreneur, you definitely need to know who your “hottest” leads are so you can spend your time wisely. Method:CRM makes it easy to track the likelihood that a lead will become a paying customer, using simple temperature terms: “hot” leads are those most likely to convert, “warm” leads are those whose interest in your product or service isn’t 100% clear, and “cold” leads are those that aren’t worth your time. Depending on the complexity of your sales process, you can even create your own custom lead classification system. As a small business, you probably struggle to decide where to invest your limited marketing dollars. While it may have worked decades ago for companies to cast a wide net in their advertising and hope for the best, that’s not an option for modern small businesses. You need to know what works and what doesn’t. And you need an easier way to manage this information than a poorly-updated Excel spreadsheet. In Method:CRM, you can associate each sales lead with the marketing event, campaign, or initiative that brought them in. For example, if you collected 200 business cards at a recent trade show, you might associate those 200 new leads with a “2019 Trade Show” campaign in Method. In this way, you can drill down into the individual success of each marketing campaign a few weeks or months down the road. This empowers you to make smarter marketing decisions in the future based on real sales metrics. Effective lead management is the gateway to increasing your bottom line. So if you’re finding yourself struggling to manage your contacts accurately and follow up with them in a timely fashion, it may be time to retire your Excel spreadsheets and adopt a lead management software solution. Not only will you save time, but you’ll also increase productivity and ensure no lead is left behind. Ready to reap the benefits of effective lead management? Sign up for a free 30-day trial of Method:CRM, the most powerful lead management software for QuickBooks.